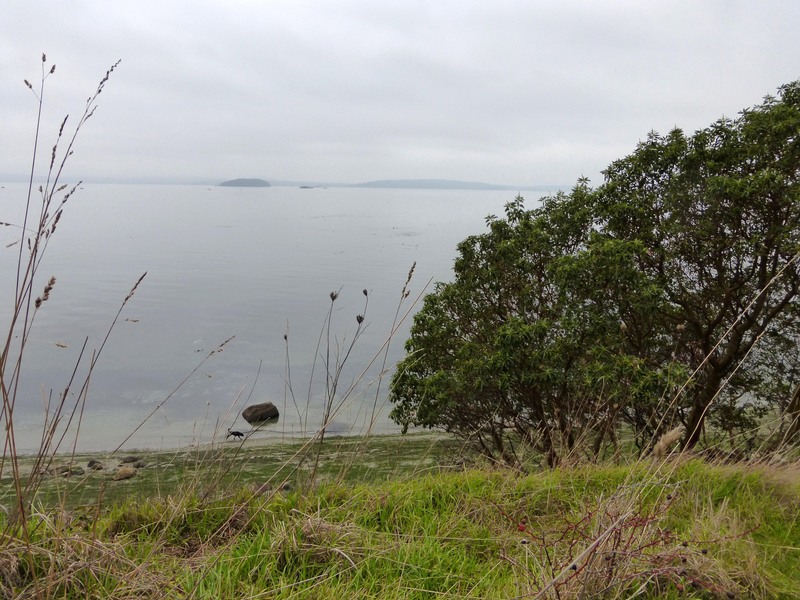 One of our San Juan Islands COASSTers, Julia, graciously offered to share her pictures from a December COASST walk along her beach on Waldron Island. It’s a wonderful opportunity to walk in the shoes of an islander and see the great diversity of marine birds that surround us in the Salish Sea. 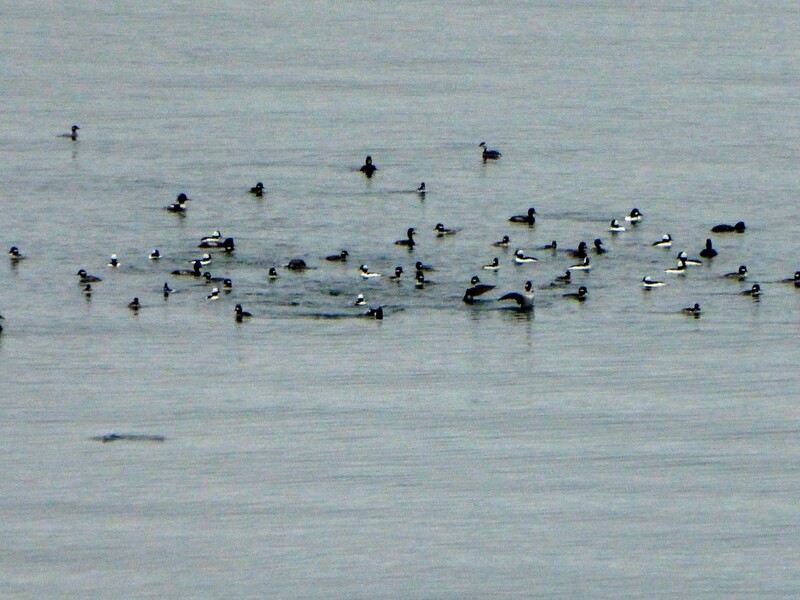 A mixed flock of wintering birds, mostly Bufflehead, also including Common Goldeneye, Red-breasted Merganser and Horned Grebe. In the COASST guide, Bufflehead can be found on WF15-16. And the Horned Grebe is in GR6-7. Close up of a Red-Breasted Merganser. Mergansers are larger diving ducks that have long, thin bills with serrated edges to aid in capturing fish prey. If you have the Alaska guide, check out pages WF36 and WF38. Two Common Goldeneye accompany the Red-Breasted Merganser. It is not uncommon to see various waterfowl species occupy the same foraging location at the same time. A flock of Canada Geese landed near Pt. Disney, the SE corner of Cowlitz Bay. 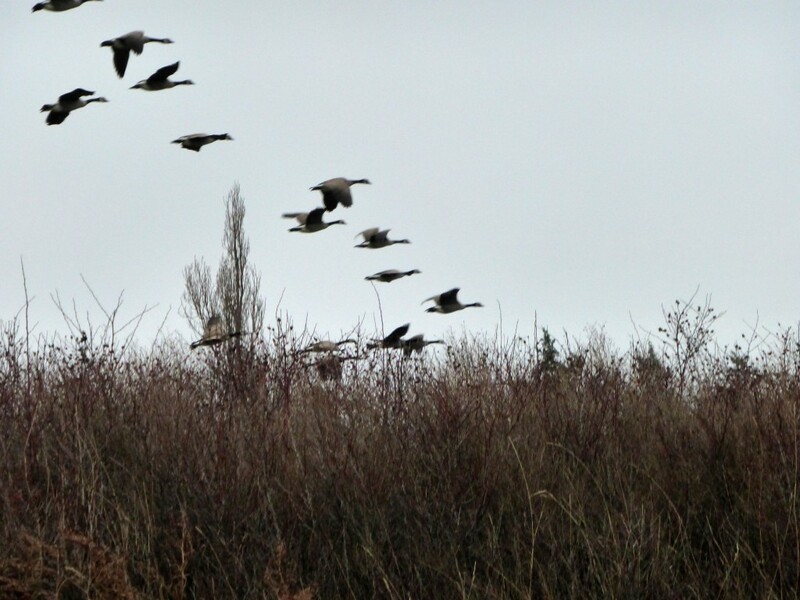 The same flock flying over the Nature Conservancy swamp. 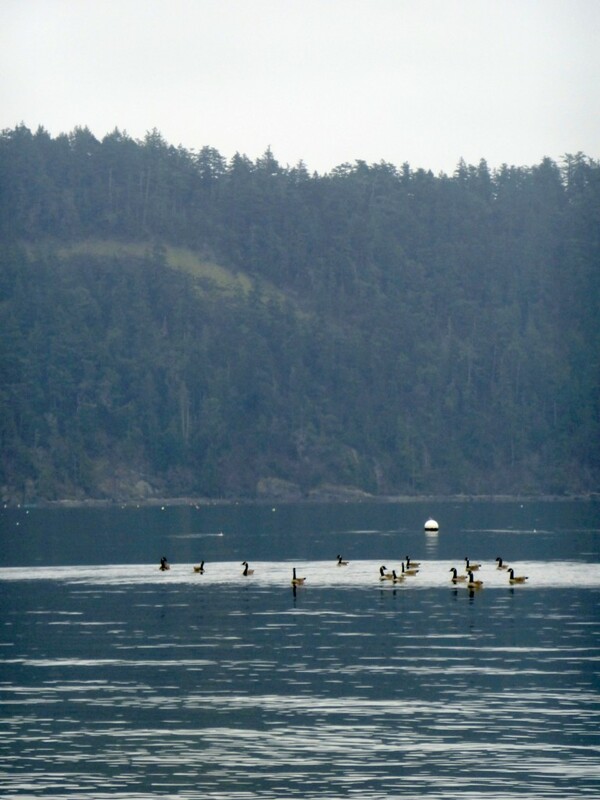 This entry was posted in Uncategorized and tagged Seabird, Volunteer, Washington, Waterfowl on 22. January 2014 by coasst.